“If I could have chosen to discover just one work among all those that have been lost in history... I would have chosen this one, without hesitation”. 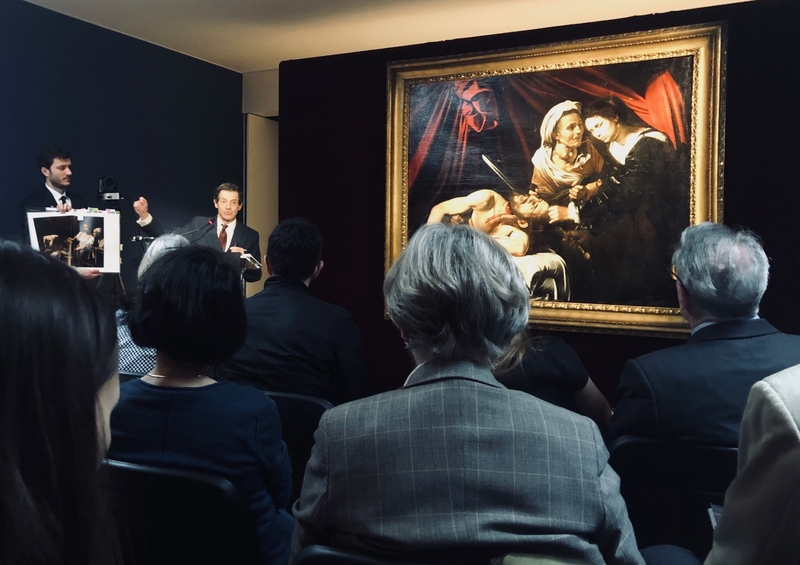 Such is the conviction and fascination of art expert Eric Turquin for the painting known as the “Toulouse Caravaggio” he has been entrusted to sell by auctioneer Marc Labarbe. However the location of its sale is the biggest surprise… not London, not New York, not even in Paris... but rather where it all began... in the south-west of France where it was found, by chance, in the attic of a house near Toulouse, in 2014. Moreover, the painting's owners have re-confirmed that the Toulouse auctioneer they originally contacted – Marc Labarbe, who first recognized the exceptional qualities of the work – will be responsible for orchestrating the sale of this extraordinary painting. The stakes are high indeed... not only for all art lovers around the world who enjoy a good story and the thrill of market surprises, but also and particularly for the French Art Market. Thirty years after the historic Parisian sale of Pablo Picasso's Noces de Pierrette (1905), an auction organized on French soil could once again rock the global Art Market. The work is indeed exceptional in many respects. Its subject (a biblical decapitation), its age (more than 400 years old), its discovery (in an attic in the South of France) and especially its attribution to Caravaggio and the piercing power of Judith's look, all give this painting a very special place in History and on the Art Market. Only 68 works by Caravaggio are known to date, scattered throughout the Western world. Many have remained in Italy, hanging in the most beautiful churches of Rome, Naples and Sicily, while the others contribute to the notoriety of some of the world's most prestigious European and American institutions: London's National Gallery, New York's Metropolitan Museum and the Paris Louvre each have three, while Madrid's Prado and Saint Petersburg's Hermitage each have a single painting by Caravaggio. Acquiring this latest discovery probably appeals to all of the world's major museums. However, few of them can afford it. The current estimate for the work is somewhere between between €100 and €150 million; but, the annual acquisition budget of the Louvre Museum (the world's leading museum by visitor number) is still under €20 million. Likewise, lots of Japanese, English and Russian museums – who would love to own this newly discovered masterpiece – are unlikely to be in the running to acquire it. Having remained locked up Eric Turquin's Paris offices for many years, the Toulouse Caravaggio has finally received its export visa and has began a world tour. Currently in London, the work will then be taken to New York to steal the spotlight during the prestige sales in May, before returning to Toulouse to be put on sale. According to Artprice's CEO / Founder, thierry Ehrmann, “when everyone has seen Judith decapitating Holofernes and has experienced the extraordinary power of this painting, the location of the sale will not matter much. Whether sold in Toulouse or New York, Caravaggio will go to the highest bidder. In any case, the painting will certainly not remain in Toulouse, nor in France.